The use of power in inter-organizational relationships acts to frame decision-making (Weick, 1979). As such, it is the primary means by which focal firms gain the cooperation of recipients (Stern and El-Ansary, 1992). Power is achieved relative to the focal firm's ability to control resources needed by the recipient firms (French and Raven, 1959; Stern and El-Ansary, 1992). In a network, power may be distributed throughout the network, such that each firm has countervailing powers it might use to influence or thwart adoption. Communication acts as a conduit for using power, or more specifically influence, across the network. This influence may take many forms, including both coercive (threats, promises, and legalistic pleas) and non-coercive (requests, recommendations, and information exchange) (Frazier and Summers, 1986). 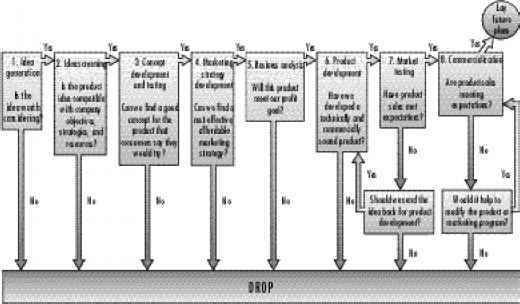 An alternative schema classifies influence strategies into three types: coercive, soft-coercive, and non-coercive modalities (Brown et al., 1995). Coercive influence may speed the adoption process, but can also create problems by disrupting existing power structures and threatening the long-term success of the relationship (Frazier et al., 1988; Heide, 1994). Conventional wisdom suggests that the use of coercive influence will lead to more conflict while attempts to compromise and engage will result to reduced conflict (Thamhain and Wilemon, 1974). Several organizational research studies have shown the impact of influence on behavioral responses and tactical choices in a conflict situation (e.g. Bacharach and Lawler, 1980; Johnson and Ford, 1996). Attempts by the focal firm to use power might meet countervailing powers held by recipient firms, creating conflict that damages the relationship without producing adoption (Heide, 1994; Pfeffer and Salancik, 1978). The use of power might also lead to symbolic adoption, where a firm appears to adopt the innovation while generating internal roadblocks that interfere with its implementation (CITE). P7. The rate of adoption of IOS innovation by a recipient firm will be negatively related to the use of power by the focal alliance. The effects of power to speed adoption might be a function of the inherent dependence between a particular recipient firm and a focal firm or might reflect the average dependence of all recipient firms on the focal firm. In order to understand the effect of inter-organizational dependence on the rate of adoption of IOS, a brief overview of the definition and classification of the dependence variable as it relates to organizational relationships is provided. First, for the purpose of this study the word "dependence" and "dependency" will be used interchangeably. In a study (Kumar and Van Dissel, 1996), there were cited three notable ways in which the work of organizational units may be dependent on one another. This includes pooled dependency (e.g. use of a common data processing center), sequential dependency (e.g. supplier-buyer relationship along a value system), and reciprocal dependency (e.g. a concurrent re-engineering team consisting of customers, suppliers, and distributors working together to develop a product/service). Cooperative adoption represents this last type of dependency, which may force network firms closer together and restrict the entrance of new firms into the network by increasing entrance barriers (Brennen and Turnbull, 1999). P8. The rate of adoption of IOS innovation by a recipient firm will be negatively related to the dependence between the focal firm and the recipient firm. leads to more frequent and open exchange of information, which improves the chances of cooperative adoption (Zand, 1972). Trust is built over time across successful interactions between network firms, both those directly observed by the recipient firm and those communicated to the recipient firm by other firms. Logic suggests recipient firms will be unwilling to engage in any activity advocated by a focal firm they do not trust, since the strategy might be in the best interest of the focal firm, but not in the best interests of the recipient firms (Dwyer et al., 1987; Morgan and Hunt, 1994). Trusted network members encourage commitment to the relationship, as well as specific courses of action (Morgan and Hunt, 1994). Empirical evidence supports this logic in simulations and in surveys of a variety of inter-organizational contexts. For instance, trust was a critical mediating variable in interfirm relationship performance (Morgan and Hunt, 1994). Similarly, Ratnasingam's (2003) simulation study demonstrates the importance of inter-organizational trust in the adoption of e-commerce due to the need to collaborate and communicate information in a timely manner between trading partners. In addition, researchers in different disciplines, particularly in the area of social psychology and channel relationships, have clearly demonstrated the importance of trust in inter-firm relations (e.g. Young and Wilkinson, 1989). P9. The rate of adoption of IOS innovation by an organization will be positively related to the degree of entrenched trust between the recipient firm and other networked firms.